For anyone who hasn’t yet heard of this series, it is a real treat. The link to fairytales might seem like an unappealing idea for modern teenagers, but the contemporary twist transports this series to a great place. In the first of the series – ‘Cinder’ – we are introduced to the cyborg Cinder. A gifted mechanic, she relies on her interest to earn money for her wicked stepmother. 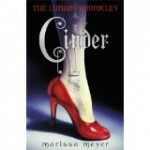 When Prince Kai brings a broken robot to her, Cinder learns more than she is meant to know. This is a complex world where there’s a lot to explain, and some elements are more easy to take on than others. There’s a rather inevitable love element to the novel, but I felt the conflict that Cinder experiences between duty and desire was perfect for taking this out of the zone of the ordinary teen romance. 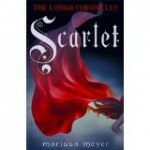 When I started reading the second in the series – ‘Scarlet’ – I was a little confused by the introduction of a completely new character. Scarlet is determined to find out what has happened to her grandmother, but she is forced to rely on the help of Wolf – not the most obvious contender for the role. Her story becomes intertwined with that of Cinder, and this was an absorbing read. In this novel we learn more of the character of the Lunar Queen Levana, who is determined to do whatever it takes to get Prince Kai to agree to a marriage. 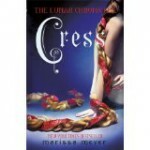 Moving into the third of the series – ‘Cress’ – we are hit with a stunning revelation about Cinder’s heritage. Cinder is now a fugitive, alongside the amusing Captain Thorne, and she has to try to save the world from Queen Levana’s plans now that Kai is Emperor. They have to rely on Cress, a girl who has been forced to live alone since early childhood using her hacking skills to do whatever Queen Levana asks her to. There was a lot going on in this one, and it didn’t always make a lot of sense. I was uncertain whether to jump straight into ‘Winter’ or leave it awhile as I’d not really enjoyed the third in the series all that much. I’m so glad I didn’t leave it, as this made a fitting end to the series. With Cinder fighting to take her rightful place as Queen, introducing the character of Winter, Levana’s beautiful step-daughter, was a brave one. Much as I have loved the character of Cinder, I was really drawn to this new character and her relationship with Jacin. I even found myself feeling some sympathy for Levana by the end of the novel! While the sheer size of these novels might be off-putting to less keen readers, I think the story is full of action and has a great cast of characters. I do wonder how long it will be until this is turned into a movie franchise! I wanted to like this book more than I did. Rhea is eighteen, and finds herself homeless. Remembering an old ritual that her father instigated, Rhea decides to write a letter to her mother. Through this epistolary format, Rhea explores her family set-up and her thoughts about her experiences. She examines her feelings about being gay, and how she was injured. I genuinely felt that Rhea was trying to deal with so many things that I never got to see her as a credible character. This was an interesting idea, but it didn’t work for me in the way that I hoped it would. 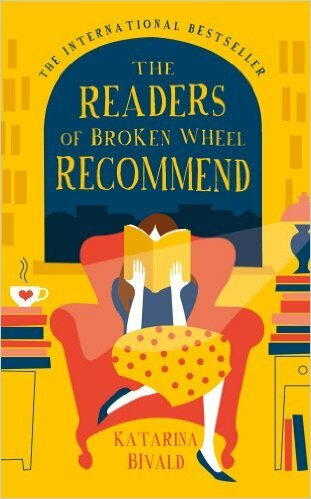 Laure’s debut was due for publication in January 2016, and I was lucky enough to be sent an ARC from NetGalley in exchange for an honest review. Touted as a writer for fans of Rainbow Rowell and John Green, Laure is always going to have a lot to live up to but I do think the signs are good, even though they don’t quite work fully here. 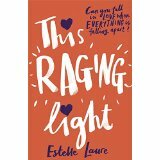 ‘This Raging Light’ tells us the story of seventeen-year-old Lucille. Her father is known as the guy that attacked his wife. This would be a tough enough situation to live with, but Lucille’s mother then leaves. Lucille is suddenly left with no adult figure to rely on, and with sole responsibility for her nine-year-old sister, Wren. I think this would be an impossible situation for most teenagers to cope with, but Lucille is determined to not give in gracefully. She vows to do whatever she can to stop people learning the truth of her situation, and to protect her younger sister. Most of the novel focuses on Lucille’s attempts to live as much of a normal life as she can. She’s a wonderful character and I liked the fact that this story didn’t veer into over-sentimentality. Unfortunately, life is never straightforward and Lucille also has to cope with getting a crush on her best friend’s brother, who has a girlfriend. On occasion some of the characters’ reactions were rather unlikely, and I’m not totally convinced that Lucille would have got quite the response from her neighbours that she did. That aside, it was a thought-provoking read that I think hints at good things to come. I first stumbled across this series in October 2015 and was immediately gripped by the concept. Jonah Delacroix has always thought he knew right from wrong. He always believed in the Milennials and their fight to control the Metasphere and save it from the Guardians. Then he assumes his dead father’s avatar and becomes caught up in a deadly battle. He also comes to see that things are not always black and white. Sci-fi that also combines gaming/technology so it’s easy to see the appeal for boys, but this was so well-written and Sam is such great character that I can see it being of interest to girls too. Jonah has succeeded in setting up the Changsphere, a world to rival the Metasphere.The avatars of the Uploaded (those who committed suicide) have been transferred but they are gaining in strength, and are hungry for life. No-one is safe. Where to start! So many characters introduced, but it all hangs together well. Yes, it’s more of the same but that is not a criticism. When it’s this well-written, it’s exactly what’s needed. As is always the case with a series that you’ve enjoyed, approaching the end is an odd experience. Desperate to find out how things resolve, yet not wanting it all to finally finish, I was almost reluctant to start this one. However, after a slow start to summarise the key points of the action – which makes sense if you’ve waited a while since the previous one – we were dropped straight into what I can only describe as a white-knuckle ride. Tense throughout, and certainly not shying away from placing the characters in difficult situations, this was a fitting end to the series. Now I just have to wait for my son to catch up so we can discuss the final moments! This series is touted as a must for horror fans. I’m not really part of the target market, but I am always looking for good examples of specific genres to recommend to my pupils so I was curious when I found this in the local library. The cover grabbed my attention, and I thought the blurb promised a lot – teen girl at odds with her environment, strange supernatural visions, a creepy setting and a killer on the loose. 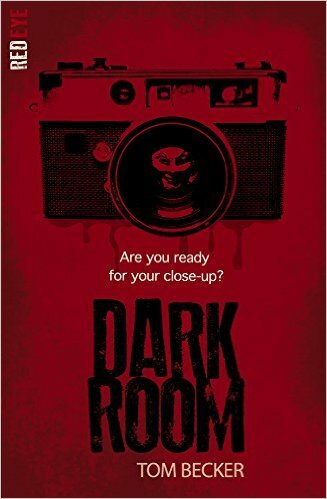 I think if you like this kind of story you will race through Dark Room and love it. The story begins with a macabre scene that explains – a little – the story of Saffron Hills and its terrible obsession with keeping up appearances. Ever since the brutal murder of its teen beauty queen, the townspeople have focused on looking to do the right thing and appearing perfect. Fast forward to the present, and we meet Darla. She has always regarded herself as plain and something of a misfit. When she and her father end up in Saffron Hills she is immediately at odds with the selfie-obsessed beautiful teenagers of this environment. 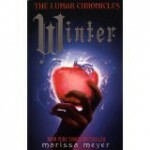 She finds some ‘outsider’ friends ( which did all feel a little ‘Mean Girls’) and things seem to muddle along tolerably. Then we are told Darla is having visions that give her an insight into the mind of the killer on the loose, slowly picking off the beautiful people in grotesque ways. While this slasher style graphic violence isn’t the kind of thing I enjoy reading, I can see that this has all the elements you’d want if it is. My main gripe is that the big twist was rather obviously foreshadowed and I’d guessed the killer before we were told who it was. What I hadn’t managed to piece together was some of the finer details and these were all resolved by the end of the novel. When I read this description on NetGalley I was thinking this would be a quirky romance, and I couldn’t help but ask for a digital copy to review before the novel is released in January. I’m grateful for the advance copy, but it really wasn’t what I expected. Perhaps there was something lost in translation but this felt like a love story that was desperate to call itself anything but. This was perfect for curling up in front of the fire with, but not one I’d return to or will probably really remember later in the year. 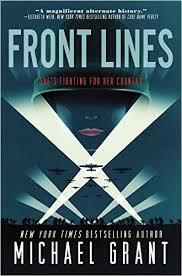 Due for publication January 28th 2016, this is the first in a new series by Michael Grant and it imagines an alternative past, where women were allowed to fight in the war. I received a digital copy of this from NetGalley in exchange for review. While I’d enjoyed the other Michael Grant books I’d read, I was uncertain how this would work. The first thing I have to say is that I felt this brought together a great cast of characters – Rainy, Rio and Frangie – who all have their strengths, but are shaped by their experiences preparing for war. The idea that women could fight allowed Grant to also explore key themes/ideas about war and gender. The initial part of the book that deals with the girls’ backgrounds and reasons for enlisting was necessary, but it really comes into its own when the new recruits are sent to fight. The account of the experience is unflinching, yet never gratuitous. 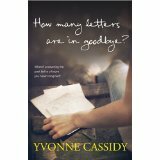 Not knowing anything about this case, I was curious when I received a digital copy of this novel – due for publication on January 12th 2016 – from NetGalley. 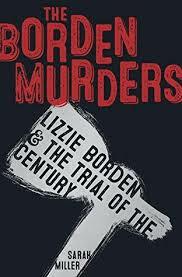 I’m giving nothing away when I tell you that this novel tells us the story – gleaned from news reports and other contemporary sources – of the trial of Lizzie Borden, accused of the brutal killings of her father and step-mother. We are taken through the details of the case as it is known, and we are left to make up our own minds about the outcome. Non-fiction is not something I tend to read out of choice, but this read enough like a novel to keep me interested. What I found fascinating was the way in which the trial itself was conducted and what was revealed about the society of the time. This is certainly a book that will gain readers’ interest, and it has piqued my curiosity enough to be on the lookout for more information about the case.